At least four Pakistani soldiers were killed on Sunday in a rocket attack in a tribal area of Khayber-Agency that borders Afghanistan, the military's media wing reported. The Inter-Services Public Relations said the rocket fired by terrorists from Afghanistan also injured four others. This is not the first time a cross border attack has happened on the Pakistan-Afghan border. The attack comes at a time when relations between Islamabad and Kabul have deteriorated in the wake of a surge in Taliban attacks in Afghanistan and statements of Afghan leaders against Pakistan. Pakistan earlier summoned the Afghan ambassador to lodge a protest over a border clash in which three Frontier Constabulary men were killed on August 16-17. At least 31 Taliban militants, including a key commander, were killed and 30 others injured as military aircraft pounded militants' hideouts in Afghanistan's Helmand province on Sunday, an army spokesman said. "Afghan air force backed by the NATO-led resolute support mission launched series of air-strikes against Taliban hideouts in Musa Kala district. As a result, 31 rebels, including a key commander Mullah Zarqawi, were killed and 30 were injured," Xinhua quoted Brig Mohammad Rasoul Zazai as saying. 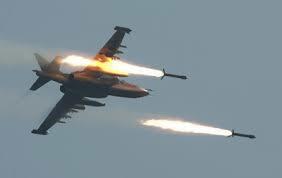 The air-strikes took place amid Taliban preparations to capture Musa Kala district. Taliban militants have infiltrated Musa Kala district over the past several months and were poised to launch a major offensive to capture the south Afghan district.